Michael Odartey-Wellington is a Chartered Accountant with over 27 years experience in auditing, financial management, IT projects implementation and general management. 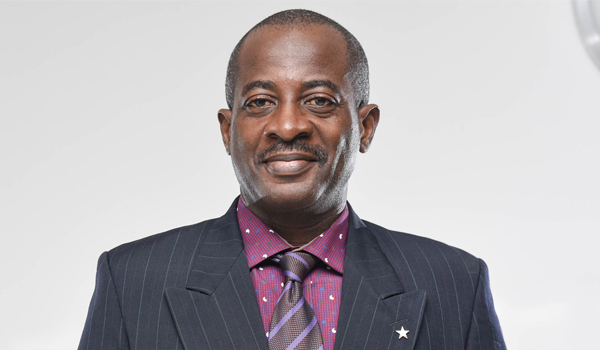 He started his career with Deloitte & Touche (Deloitte Haskings & Sells) during which he was in charge of significant clients such as Ashanti Gold and Volta River Authority. He also worked with DHL as the Country Accountant in 1994. Michael also worked with Total Petroleum for over 15 years during which he held various top management positions. He also played a very significant role in the integration of Total and Exxon Mobil after the takeover of Mobil by Total. During his career in Total he was responsible for the implementation of SAP and SUN Systems IT projects. Michael is currently the Managing Director of Panbros Salt Industries Limited. Star Assurance Company Limited (“Star Assurance”) is a privately owned Insurance Company incorporated in August 1984 and licensed to carry out corporate and retail insurance businesses in Ghana. It commenced business in April 1985.